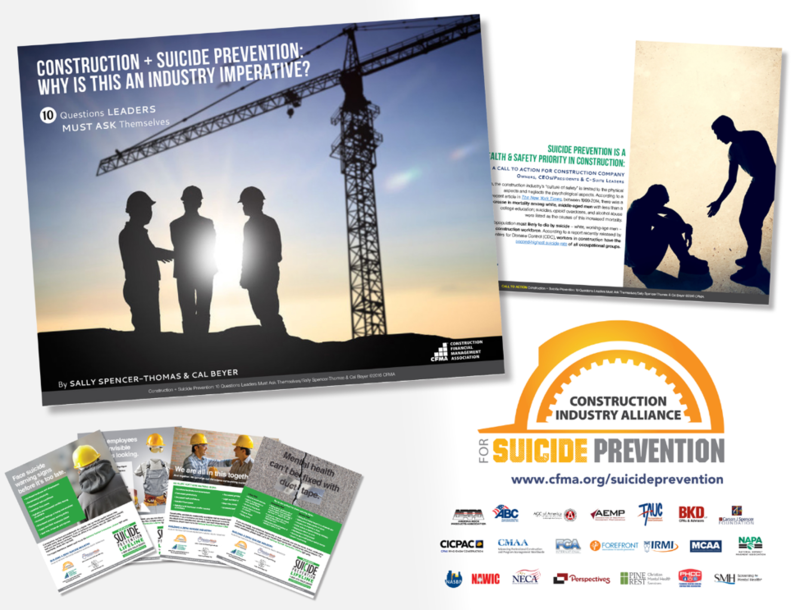 On Tuesday, February 28th, CFMA will be presenting the 90 minute webinar Uniting the Construction Industry Behind Suicide Prevention. SSC VP of Finance & Administration, Michelle Walker, is chair of the national Task Force Construction Industry Alliance for Suicide Prevention and will be one of the presenters of this webinar, working to build awareness and understanding of construction employer’s roles in improving mental health among our workforce. Thanks to SSC’s support, this webinar is free to all – register here.